The guided tour starts from the port of Palermo, where the guide will welcome you to Sicily. 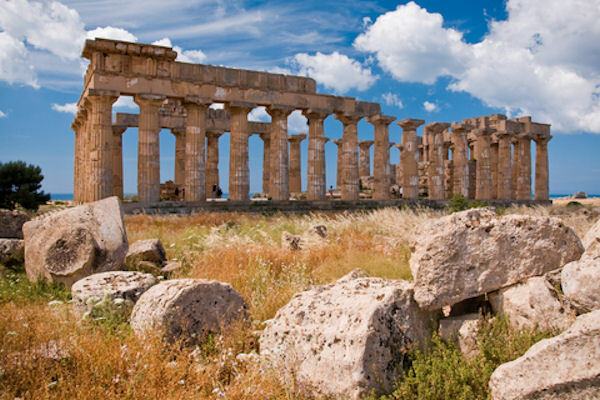 You will be brought to Selinunte (about 100 km from Palermo), one of the most important Greek archaeological sites on the south coast of Sicily. This park, of rare beauty and evocative force, is divided into three areas: the Acropolis, the Temples of the eastern hill and the Sanctuary of Demetra Malophoros. After the visit of the archaeological site, you will depart to Menfi (about 14 km from Selinunte) for a visit of the Planeta Winery, a tasting of 4 wines and virgin olive oil (served with bread sticks) and a 4 course lunch with a great variety of dishes and regional specialties. You will then be returned by car to the Palermo Seaport.